it’s happened about three times and we should definitely know better by now, but when warm weather rolls around it makes perfect sense in my mind to get a-hikin in the mountains. but it turns out the snow takes a looong time to melt. 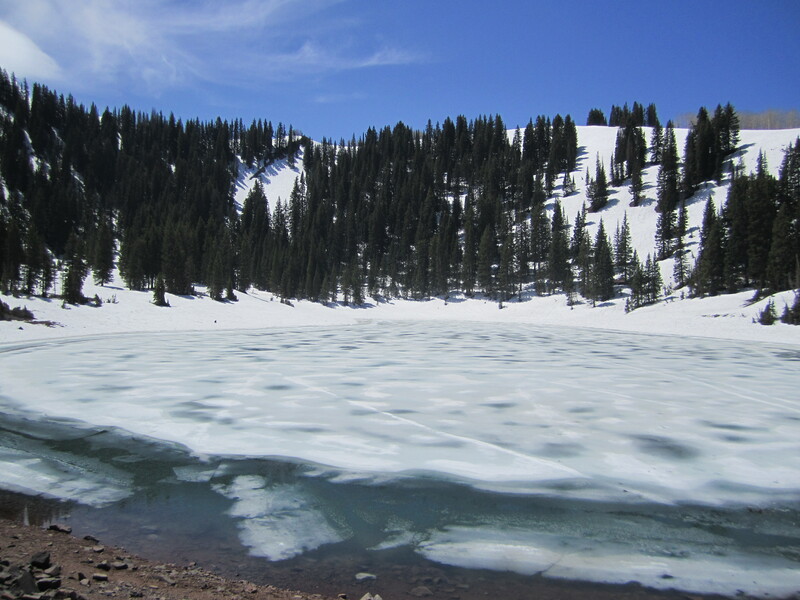 so i get excited, pick a hike, we get there and realize it will be a tedious trip in the hard-packed snow. it really probably won’t be nice and dry in the higher areas of the canyons until july. mental note for 2014! on monday we were going to hike mt. olympus, but then woke up late. then we wanted to do a hike to three lakes called mary, martha catherine. 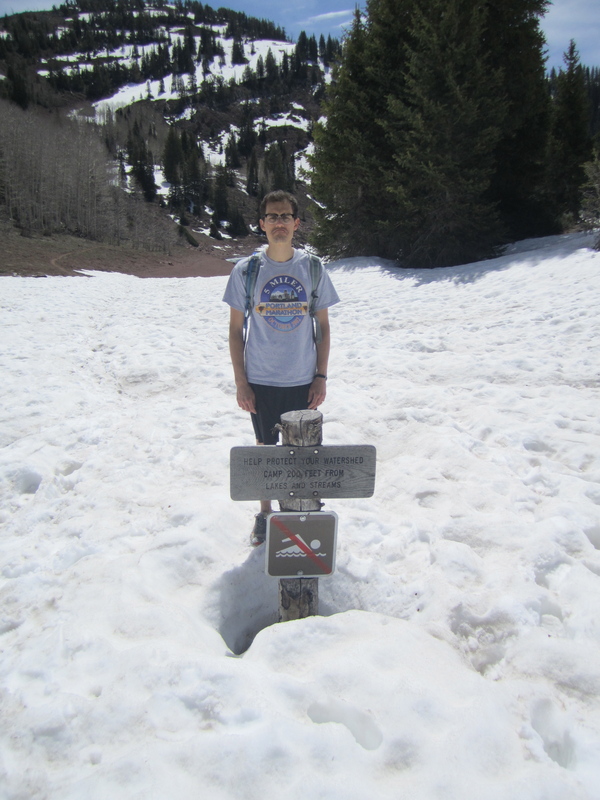 but we got up near brighton ski resort and realized that hike was a no-go. 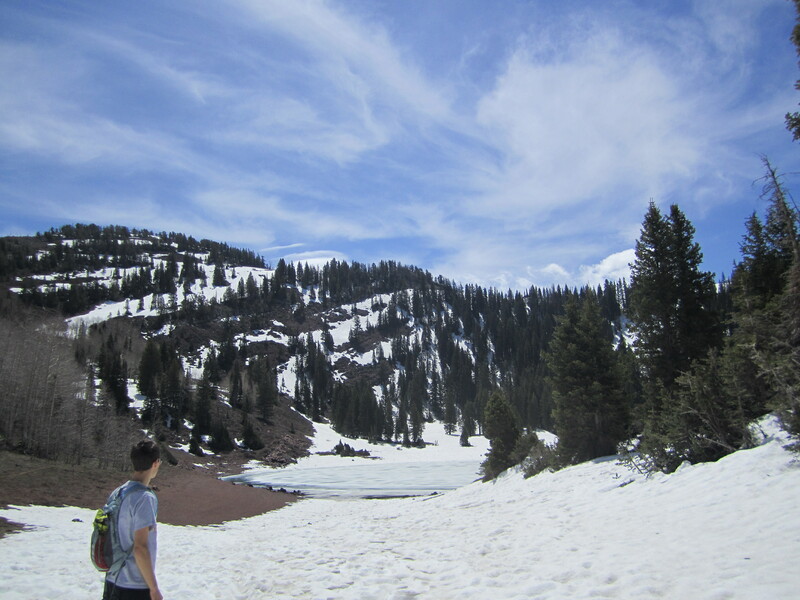 so we improvised and picked a random hike on our way back down big cottonwood canyon, ending up on a 7-mile trail run/hike to desolation lake. it’s nice to get out and exercise in different settings. the trail was mostly snow-free. hooray! but then we came upon the snow. but why can’t we swim?? it was an oh-so-lovely day that even ended with a super fancy car wash that the owner gave us for FREE for no reason! if he only knew how much it made the super-tight-budgeting newlyweds’ day. and yes, it was real tough to go back to work on tuesday :-/. thanks for the memories, memorial day! 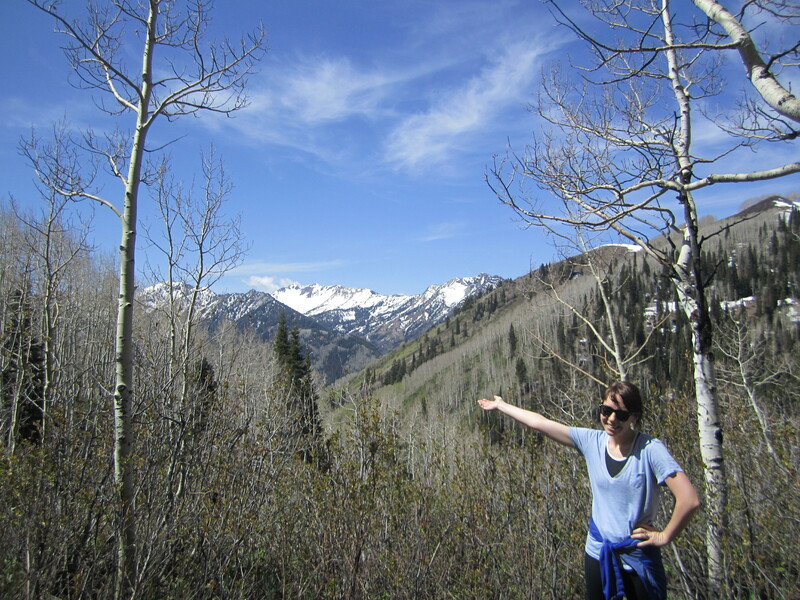 This entry was posted in nature, salt lake city and tagged big cottonwood canyon, hike, memorial day, nature, trail running. Bookmark the permalink.